Beryl O. Ramsey oversees the operations of affiliated hospitals in Alaska, Arkansas, Louisiana, New Mexico, Oklahoma and Texas. She joined CHS in 2015 as a Vice President of Operations and was promoted to Division President in February 2018. Ramsey has more than 25 years of healthcare management experience. Prior to joining the organization, Ramsey held various chief executive officer and other senior management positions with for-profit and not-for-profit hospitals in Texas and Louisiana, including hospitals owned by another hospital management company. 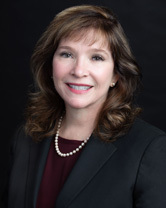 She holds a master’s degree in business administration from The University of Houston and bachelor’s degree from the University of Texas, School of Allied Health and is a Fellow of the American College of Healthcare Executives.